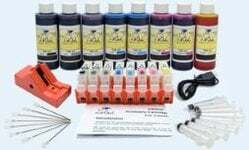 This InkOwl-brand laser refill kit contains all you need to refill your SAMSUNG CLP-680 or CLX-6260 printer's CLT-C506L, CLT-C506S, CLT-K506L, CLT-K506S, CLT-M506L, CLT-M506S, CLT-Y506L, or CLT-Y506S cartridges. 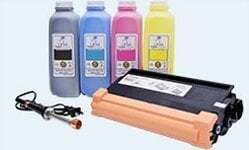 The toner included in this kit will yield 6000 pages of black and 3500 pages of color at 5% page coverage. 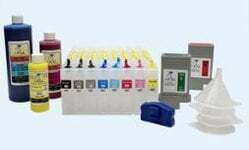 This product comes with 4 reset chips which are required for your refilled cartridges to be successfully accepted by the printer. Our chips are constantly updated to work with all the latest printer firmware. However, you still should never accept to update your firmware if prompted to by your printer, it is just Samsung's way of forcing you to buy original cartridges. If you have any questions about this do not hesitate to contact us. 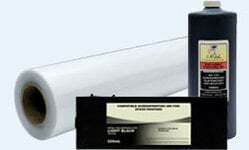 This kit will only work for printers bought in North America. For information about any other region, please contact us. IMPORTANT NOTE: Refilling the laser cartridges that this kit is compatible with involves drilling a hole into your cartridge. The use of an electric drill can cause plastic shavings to enter the toner compartment which may seriously damage the cartridge. We strongly recommend the use of our HOLE-IN-ONE laser cartridge holemaking tool as this tool does not create plastic shavings.